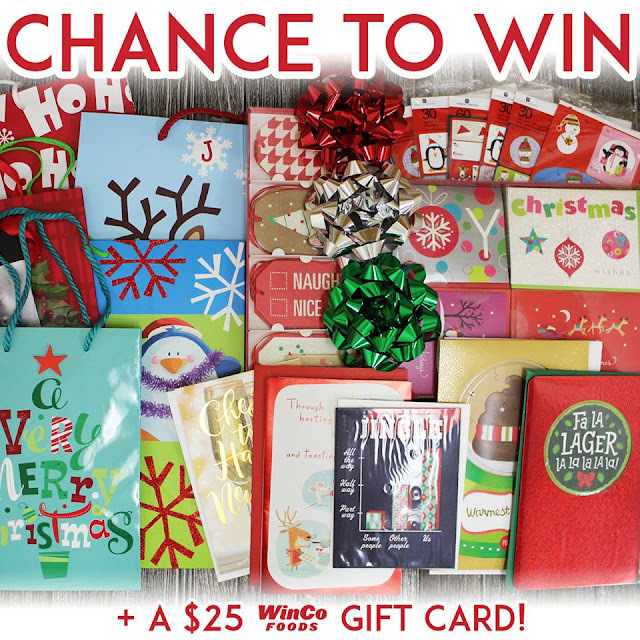 WinCo Foods is teaming up with American Greetings to giveaway some awesome Holiday Prize Packages and you can enter just by sharing your opinion on their Facebook page! American Greetings prize package includes an assortment of gift bags, gift tags, bows, holiday cards and a $25 WinCo Foods gift card. NOTE: This sweepstakes is only open to residents of Arizona, California, Idaho, Oregon, Nevada, Utah, Washington, Texas and Oklahoma. This Sweepstakes ends on 12/05/17 and you can ENTER ONCE to win.